Parent tips and teacher ideas below! At holiday gatherings somewhere, perhaps, young children converse quietly with adults and behave just as their parents hoped. If you’re like the rest of us, you may be looking for ideas to keep your kids from mayhem (or from disappearing with a book) while visiting with extended family. One solution? Try connecting children with their older relatives for family interviews. This fall, a nonprofit group called StoryCorps launched the “Great Thanksgiving Listen” to engage older children in documenting the stories of their grandparents or elders. Students age 13 and older are eligible to participate, and they can record and upload family interviews to the Library of Congress through a free app. The “Listen” is designed for high school students, but children can conduct interviews, too – and they don’t need a national project to try it! With guidance from parents or teachers, even young students can learn more about a loved one. Winter holidays can provide unique opportunities for conversations, and interviews can be conducted at almost any gathering, by children at almost any school age, on a wide range of topics, and with any recording device. If extended family is far away, phone interviews can be recorded, and a call can warm the holiday of an older relative. Language Arts: One of the exciting challenges of a first-person interview is determining how to present and archive the interview data. Having to process this raw data into a coherent narrative, for example, is the essence of journalistic storymaking. One idea might be to have your students study how top periodical sources present interviews, and to use these as a model for a “class magazine” of historical interviews. History: Interviewing a family elder can help a child understand the social and historical context in which life events occurred. Unlike a textbook, which provides only a broad, academic take on history, an interview adds a layer of personal experience which can bring history to life, especially when the child sees his own ancestor/family embedded in it. STEM: Learning how a family member problem-solved and dealt with life’s vicissitudes is a wonderful opportunity to compare and contrast the technology available at the time, the scientific understanding which framed the events, and perhaps even “primitive” medical treatments which played a role. Multimedia: Students may choose to combine the raw data gathered in the interview with family photos and videos to create a multimedia product showing an event or period in history. Consider recording the interview: this can allow your child to better focus on listening. Notes (if needed) can be taken later, from the recording. Digital recorders can produce high quality recordings, but a phone app can serve the purpose just as well and costs less. Locate a comfortable spot with minimal background noise and few distractions. Consider testing your recording device where it will be used; for some devices, an A/C or heater fan (seemingly quiet at the time) can make recordings hard to understand. Help your child learn how the device works (a lost or inaudible recording can be upsetting), or for a young child, you may wish to operate the device yourself. Find out if the subject should speak into the device or if the phone/microphone can be placed nearby. Videos can be wonderful to have, but they may make some subjects more self-conscious than an audio recording. Please tell me about your parents. Please tell me about a teacher or other adult who impacted your life while you were growing up. What did you do during the summers when you were growing up? When you were younger, what did you imagine your job would be? What are your most vivid memories of school? Please share some important lessons you’ve learned in life. Of the family members you have known or heard about, who do you think lived the most interesting life, and why? Please tell me about an accomplishment you are proud of or a challenge you overcame. Teachers and parents can also guide students in selecting or brainstorming questions related to the child’s area of study. Allow the child/student to select the interview questions (within reason). If he or she can ask about areas of interest and curiosity, the conversation can be more meaningful for everyone. Remember age-appropriate expectations for interview length: generally, a 10-year-old can handle a longer conversation than a 5-year-old. Consider taking breaks, especially for younger children –though they may maintain more interest than you expect! Consider helping younger children craft questions likely to elicit shorter answers – the experience can be more relaxed if the child stays engaged throughout the answer. When your child selects questions, if you spot sensitive or controversial topics, you may wish to provide guidance in making adjustments. If you know of topics likely to trigger a negative or painful reaction, help your child avoid them. On the other hand, if your subject may wish to discuss hardships he or she faced, such as inequality before or after the Civil Rights Movement, you could share your child’s questions with the interviewee in advance. Consider preparing children to go “off script” when appropriate – they (or you) may wish to ask follow-up questions about interesting or meaningful stories. If your loved one is coping with memory loss, consider preparing your child to ask about subjects or time periods you think the interviewee can remember. Prepare your child to be able to move on to the next question if needed. Consider taking a photo of your child with his or her loved one following the interview! Young children may need parent help during interviews and in transferring recordings. If sensitive or politically charged topics arise unexpectedly, parents can offer perspective and context afterward, and children may be inspired to conduct further research. When finished, your child will have a recording to save and will take away additional benefits. Few things make history lessons as effective as seeing events through the eyes of people who witnessed them. Building relationships with older relatives can benefit your child in a number of ways, including the opportunity to explore family traditions (Webb, J. et al, 2007). Your child may remember time spent with older relatives when he or she reaches the same age — and in the present, your child can help older loved ones to feel valued, to leave a personal legacy, and to relive their memories. If your child creates a presentation or product from the interview, it can bring joy to the interviewee and become an invaluable piece of family history for future years. StoryCorps operates year round. In addition to preserving history, its website shares another mission: to “provide people of all backgrounds and beliefs with the opportunity to record, share and preserve the stories of our lives.” According to StoryCorps, sharing and listening can remind us of our shared humanity, can build connections, and can teach the value of listening. The project aims to weave a message into the fabric of our culture: everyone’s story matters. For us, that message resonates this holiday season. With a little help, younger children and students can learn to listen to life stories, as well – and they might benefit the most from the experience. Sending warm wishes for connections and peace, from our families to yours. Many thanks to Ben Koch for the above teacher tips and expertise. 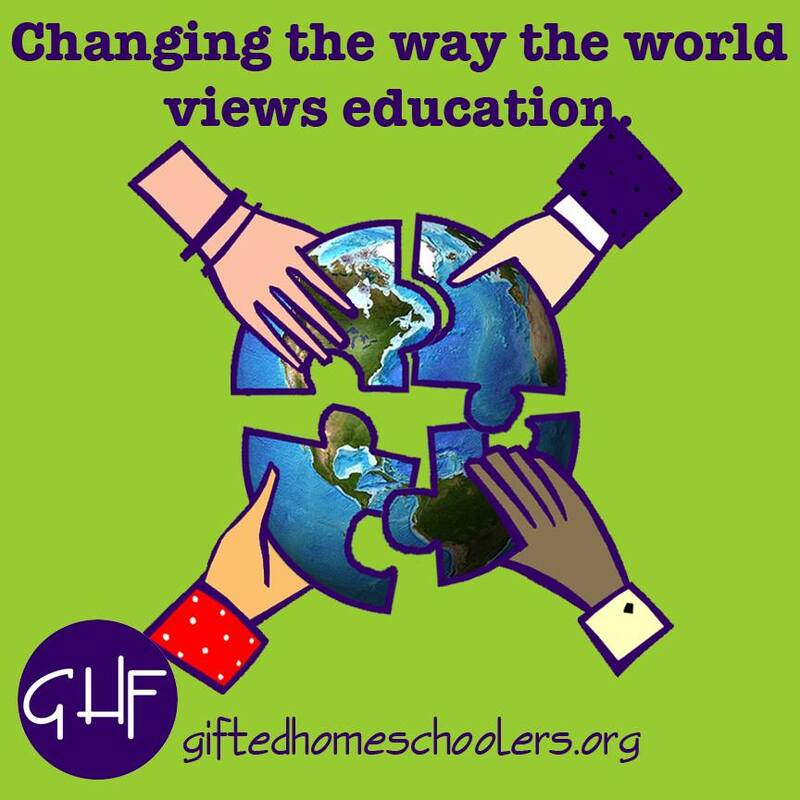 We are proud this post is part of the Surviving the Holidays Blog Hop on Hoagies’ Gifted Education Page! Outside StoryCorps, we tried out five separate apps (with kids!). Below are our initial impressions. Different environments may yield different results, and we recommend testing any app or recording device in your location. iTalk: Our favorite: easy to record, users can choose recording quality, shorter audio files were easily transferred to a computer by e-mail, and both the recording quality and volume seemed the best from our sessions. The interviewee’s voice sounded crisp and clear. Longer files cannot be e-mailed, and require an extra step to transfer (dropbox, iPhone transfer). We did not edit sound files for any of the apps used. Audio Memos, and the iPhone (included) “Voice Memos” app: These tied for second favorite. Audio Memo playback sounded a bit muffled, and when held from the same distance as iTalk, the interviewee’s voice did not sound as clear in these. The interviews were still easy to understand, and easy to e-mail to a computer. Super Note: Our recording sounds clear when played back within the app, but we haven’t yet had success opening the file on a computer outside of iTunes. Audio Note: Audio Note allows the user to type notes while either recording or playing back, and the files were easy to transfer. When our (unedited) recording was played back on a computer, however, at least from this recording environment, our Audio Note file seemed to have the lowest volume and sound quality. Additional apps and reviews can be found online, along with programs for preserving phone interviews. To record by phone, we recommend checking applicable laws and getting permission from everyone on the call. Webb, J. T., Gore, J. L., Amend, E. R., DeVries, A. R. (2007). A parent’s guide to gifted children. Scottsdale, AZ: Great Potential Press. Webb, J. T. (2013). Searching for meaning: idealism, bright minds, disillusionment and hope. Scottsdale, AZ: Great Potential Press. I loved Story Corps’ Great Thanksgiving Listen when I heard about it on NRP. Super wonderful idea to continue into the December holidays. Thanks for your advice! Story Corps is fantastic. Every single time! What a wonderful spin on it this year. On a somewhat related note, my kids come up with questionnaires for our parents. We gave them a journal a couple of Christmases ago and they write their responses therein. It’s a treasure for everyone!